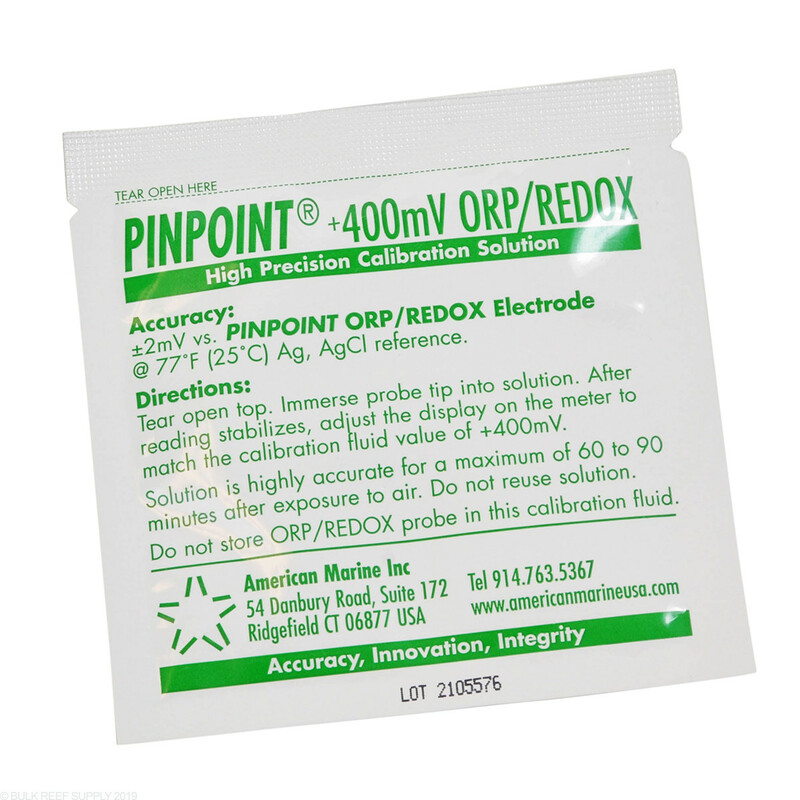 PINPOINT 400 ORP/REDOX Calibration Fluid contains a precise 400mV measurement of calibration solution. Occasional retesting with this fluid will keep PINPOINT ORP/REDOX probes accurate as well as help determine if the probe is ready for replacement. 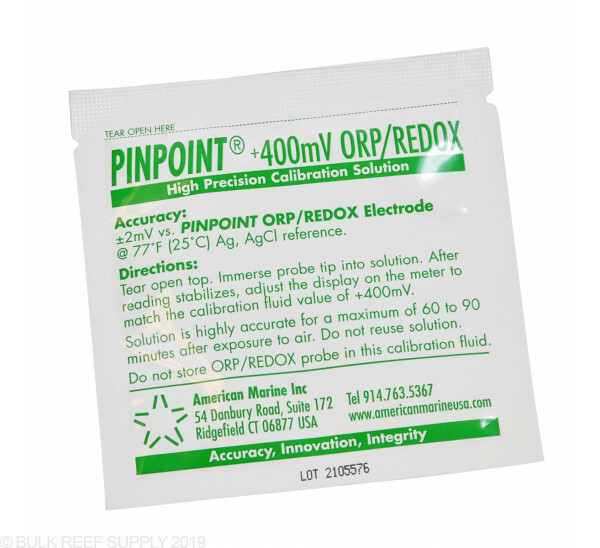 PINPOINT 400 ORP/REDOX Calibration Fluid is sold in a single use packets. ORP METER WAS RIGHT ON! I have had good success making sure my ORP probe stays in line with this fluid. Make sure to float it in your tank in the sealed packet to bring the temp up to the recommended temp to calibrate with. I check my calibration quarterly, I would do so more if the packets were cheaper. The fluid is great for making sure you are getting accurate readings from your equipment. Hi - how do I use this to calibrate my Apex Neptune orp probe? If I try to calibrate it asks for Quin-7 and Quin-4 solution. If I just try to use this for both it fails calibration and restores default setting. The BRS orp probe I bought is reading 386 in this solution so I'd like to calibrate. Thanks! I have included our video on the subject below. Please view through the end. Additionally for direct assistance you will want to reach out to Neptune Systems directly.